I first heard of Professor Zhang Longxi in Dr. Heidi Huang’s lecture. She introduced his article “The True Face of Mount Lu: On the Significance of Perspectives and Paradigms”, which I found truly impressive. In that article, Zhang mentions the importance of not analysing anything from only one perspective and suggests one trying to read from various points of views. I was therefore very excited to have the chance to hear Professor Zhang’s talk on world literature at the Summer Session of the Institute of World Literature (IWL). During the seminar introduction, I found him affable and knowledgeable, instead of the solemn professor I had expected. He started by pointing out the impossibility of knowing all the texts in the literary canon and thus suggested that one should not fear not knowing what one does not know. His quotation from Socrates was very encouraging indeed: ‘I know that I am intelligent, because I know that I know nothing.’ Zhang also encouraged his audience ‘to know thyself’ by describing how the ancient Greeks understood the importance of comprehending the messages of the Gods, and thus relied on oracles. For me, these quotations served to encourage me to learn more actively and enthusiastically, for to become an expert in world literature, one needs to acquire knowledge in a diversity of cross-cultural fields including linguistics (which gave rise to structuralism), anthropology and psychology (which contributed to deconstructionism). Oscar Wilde’s observation on the requirement of being a critic, which Zhang mentioned, is thus valid: To be a critic requires much more knowledge than a poet. If a scholar wishes to engage in world literature, one has to delve into various literary theories before being able to make critiques on several texts. Professor Zhang’s presentation about his personal experiences was rather thought-provoking as well. He was not as fortunate as we are because he could not undertake his bachelor degree during the Cultural Revolution (1966–1976), in which urban youths were forced to rural areas to work and in which books were confiscated and burnt. He was only able to read two books in three years, and thus Professor Zhang repeatedly read from cover to cover that couple of books. When the revolution was over, he, as if having been starved for long, read many famous canonical texts. At that moment, I thought perhaps one’s future achievement does not only lie in his origin or learning environment, but also in his diligence and perseverance. The interest in World Literature motivates Zhang to engage actively in the intellectual exchange, resulting in his being a world-renowned comparatist. I’ve learnt from Professor Zhang that in times of adversity, one should not give up his pursuit of knowledge. 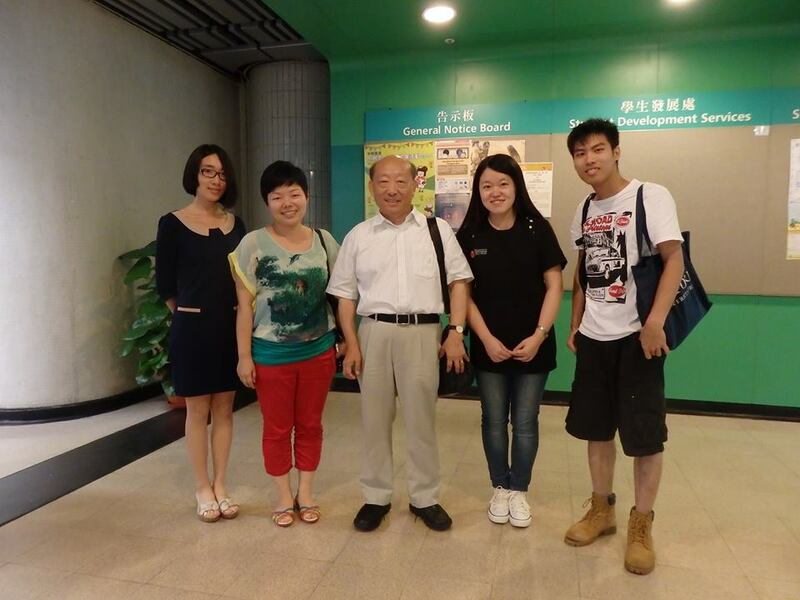 Pictured with Dr. Heidi Huang, Professor Zhang Longxi and other students who also participated in the IWL.